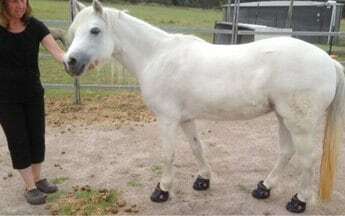 Foreword – I was consulted by Marion Carrick in March this year for assistance with her pony Bek who was suffering from chronic laminitis As she was not far away I went to see them. Bek is finally recovered and as a result Marion is now a student in the School of Equine Herbal Medicine. Marion used Bek as a case history in her first assignment Natural Health Philosophy. It has been reproduced here with their permission. Case Study – Natural Health Philosophy -11 year old, Welsh A mare called Bek. 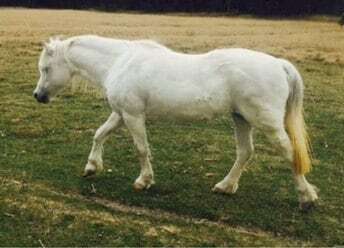 This pony had been on a natural diet (based on recommendations from Victoria’s first book The Practical Horse Herbal), for many years, but due to the owner’s complacency over time, some of the supplements were intermittent, or had ceased. In the last few years, Bek had become prone to Laminitis, and showed some metabolic problem symptoms (high water intake/urine output, solid crest, fat bulges over eyes and beside flanks, gutter over rump, difficult to lose weight). Broad public veterinary opinion for laminitis management is to restrict diet, and increase exercise. As a result, Bek’s grass intake was strictly managed, with limited (maximum 1 hour per day), and sometimes no paddock grazing allowed. The owner had also unsuccessfully trialled various supplements (including FounderGuard, and Khonke’s Trim). 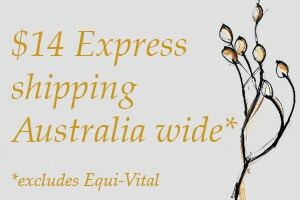 The best commercial product that appeared to provide some ongoing support for Bek with laminitis management was EquiShure. Mid February 2015, Bek showed slight restriction in hind leg movement on turning. This is a normal sign of an impending laminitis attack for Bek. Usually, treatment was simply to eliminate grass, and manage a stricter diet until symptoms passed in approximately one week. The next day, Bek developed an onset of acute clinical laminitis symptoms, and was rapidly deteriorating. She was unwilling to move, and when she did appeared weak behind. She did not have the classic laminitis stance of leaning back on her heels, but shuffled her feet constantly. Bek was tucked up, in obvious pain and sweated at her flanks. Bek’s coat stared and was rough to touch, she was very depressed. Vet confirmed a diagnosis of laminitis, administered injectable Phenylbutazone (Bute), and left sachets for ongoing pain management. Bek photographed 17 September walking well and out grazing for most of the day. She is not fat just furry !!! Footnote – The treatment of Bek and Marion’s research into the toxic effects of Glyphosate (Round Up) has provided some amazing insights into causes of laminitis and new ground breaking herbal methods of treatment. Consultation with Victoria Ferguson, introduced prescription herbs and diet.